Digital marketing is more advanced than ever before, thanks to an ever increasing amount of tools and data. But too many ad buyers never learned the practical rules for creativity that were written by pioneers like Claude Hopkins. Who is Hopkins? In 1923, he published Scientific Advertising, a tome iconic adman David Ogilvy considered mandatory reading for agency employees. Hopkins laid the groundwork for what would become direct advertising, asserting the importance of establishing a human connection with customers through meticulous testing and data collection. In 2019, it’s a message worth reconsidering. It’s no doubt part of the reason why Internet display campaigns get clickthrough rates of just 0.35 percent. After revisiting Hopkins’ ideas, it’s clear he valued both a scientific approach to customer-centricity and good, old-fashioned empathy. Here are five proven advertising methods that worked last century and can bolster digital marketing strategies today. There’s a human story in every to-do list. People don’t need power drills; they need to mount their new flatscreen before friends come over for the big game. They don’t need air compressors; they need to drive on a set of wheels that will safely transport their family. They don’t buy windows because it’s fun; they buy them for shelter. 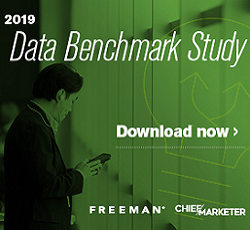 Daily life is an emotional journey, but many advertisers mistake digital as a channel meant more for mere transactions rather than human connection. Few campaigns have captured this essence as well as Procter & Gamble did with its “Thank You, Mom” ad, which ran during the 2012 London Olympics in one of the top branding moments of this decade. P&G wasn’t selling laundry detergent; it was selling the love people have for mothers who do the little things to help their kids achieve success. The beautiful thing about print advertising is that marketers have a limited amount of space, so they treasure every page inch. Digital marketers would be wise to adopt this old-school mindset to grab the attention of constantly distracted viewers. 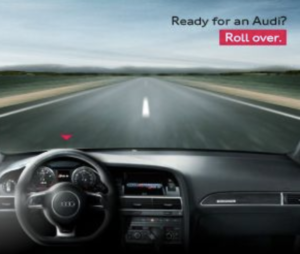 Take this Audi ad, which is attention-catching because of its simplicity. It instantly appeals to the audience’s humanity by reminding drivers of one of the reasons they love cars—the sense of freedom one feels on the open road. Hopkins would have admired a recent Gillette campaign. 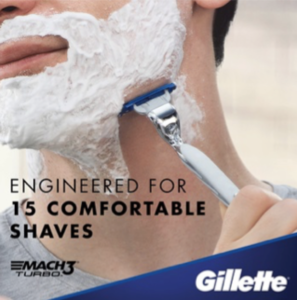 Quality razors are often expensive, and Gillette’s ad takes a lot of the guesswork out of whether the price is worth it. Let’s say a person buys 15 razors for $28. He or she will get 225 shaves (which seems extremely fair). Of course, you want your statement to hold up for customers after they purchase; therefore be sure your product team is sound in its research. There’s been a lot of social chatter recently about people posting fake celebrity news to get folks to register to vote. Any marketer worth a grain of salt disapproves of this bait-and-switch tactic. Brands shouldn’t be in the business of clickbait. But that doesn’t mean they can’t come up with surprising ads that, in the end, create positive memories. 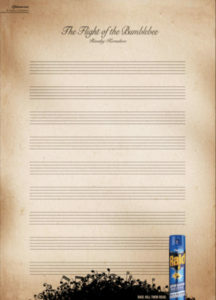 Raid ran a print campaign that should inspire digital marketers: by referencing Nikolai Rimsky-Korsokav’s classical music number Flight of the Bumblebee, Raid’s ad for killing insects manages to be both elegant and smart. While using the customer’s name may seem like an obvious tactic, I can’t count how many marketing emails I get each week that fail to include my name—or anything else about me. What a wasted opportunity. 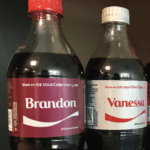 A few years ago, Coca-Cola wisely personalized bottles with names, which resulted in increased sales volume in the United States. The basic principles of advertising live on no matter what tools marketers have at their disposal. In fact, brand marketers can apply Hopkins’ core ideas with even greater force today due to the data they have. 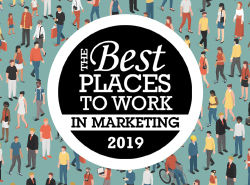 Penry Price is the VP of global sales for LinkedIn Marketing Solutions.